If you have a car or motorcycle than you might have heard about flywheel. But do you really know what is flywheel? And what is its function in the automobile engines. In this article will discuss the every possible thing about flywheel. So let’s Begin our research. Flywheel is a circular wheel attached to the crankshaft of the engine that stores the mechanical energy of the engine during power stroke and imparts that stored energy to the preparatory strokes (i.e. suction, compression and exhaust stroke) during the engine working. It is made of steel or cast iron. It is mainly used in the engine and fabricating machines like rolling mills, punching machines, shear machines, presses etc. Flywheel is a circular wheel (or Disc) made up of steel or cast iron (depends upon the application). It also acts as part of clutch mechanism and fluid drive unit. 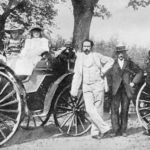 It has teeth on its outer edge which is meshed with the teeth of the electric cranking motor driven pinion and it used to crank (to rotate crankshaft) the engine during its starting. 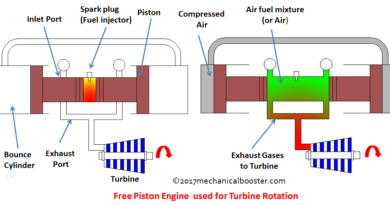 To understand that lets take an example of working of single cylinder four stroke engine. In four stroke engine we have four strokes i.e. suction, compression, power and exhaust stoke. Only in the power stroke we get power and in the rest of the strokes, the power is required to perform different process like suction, compression and exhaust process. So we need a device which can stores the power during power stroke and deliver that power to the remaining strokes when required. This could be done with the use of a flywheel. The flywheel stores the power during the expansion or power stroke and then imparts this power to the remaining strokes of the engine for its working. 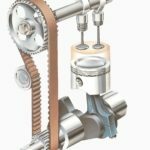 How flywheel is attached to the crankshaft? The Flywheel is made of heavy steel or cast iron and it is attached to the rear end of the crankshaft. The weight of the flywheel depends upon the nature of the variation of the pressure, number of cylinder and design of engine. 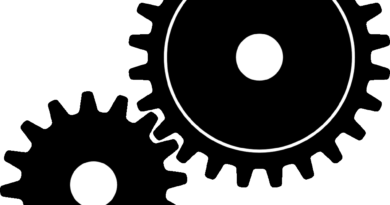 The weight of the flywheel decreases with the increase in the number of cylinder. It means a two cylinder engine has lighter flywheel as compared with single cylinder engine. Out of four strokes, we get power only in single stroke (i.e. 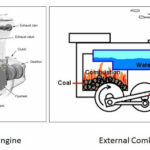 power stroke) and in the remaining 3 strokes power is required for the intake of fresh charge, compression of fresh charge and for the exhaust of burnt gases. During power stroke, the engine tends to speed up and tends to slow down during the remaining 3 strokes. But flywheel, due to its moment of inertia resists the speed up of engine during power stroke and resist the slow down of engine during preparatory strokes. It stores the energy (rotational energy) when the engine tries to speed up and imparts that energy to the engine when it tends to slow down. In this way the flywheel keeps the engine running at constant speed which is essential for the smooth working of the automobile. It provides constant power output where there is a fluctuation in the power is observed. It maintains the constant speed of the engine during all the strokes. It stores the mechanical energy (rotational energy) of the engine and deliver it when required. 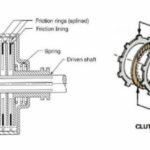 Flywheel is mainly used in engines and fabricating machines (rolling mills, punching machines, presses etc) to get uniform speed during its working. It is also used as a part of clutch mechanism and fluid drive unit. The clutch assembly is mounted on the flywheel and rotates with it. 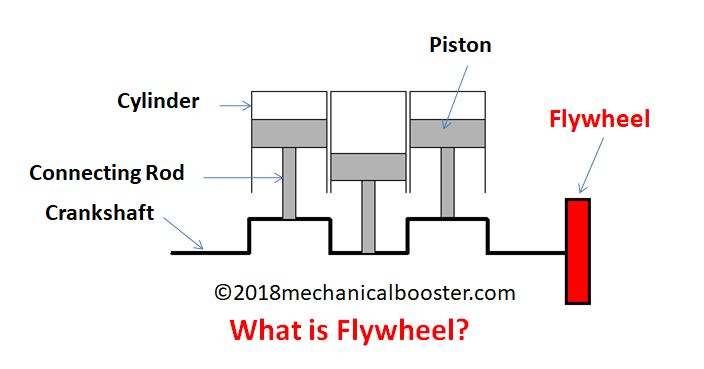 In this article I have tried my level best to explain you about what is Flywheel and its working. If you find anything missing or incorrect than comment us or you can also mail us. And if you found this article informative than don’t forget to like and share it on social networks. Thanks in advance.